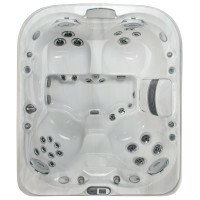 The J-470TM is a 6-7 person spa which has everything you need and expect from a large hot tub. Comfort comes in every size with seats in a variety of depths in the J-470TM. The seats are moulded to support the body and are designed to also give easy access to the foot well for increased relaxation for the perfect foot massage after a hard day. 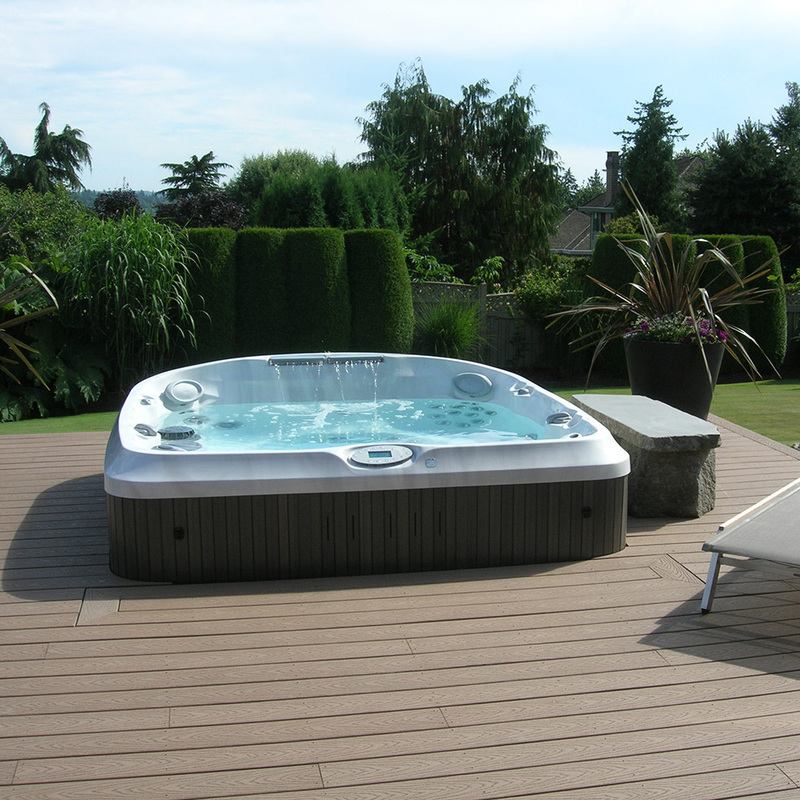 Highly effective neck jets and five of the vigorous Jacuzzi® PowerPro® FX2 jets are featured in this large hot tub delivering relaxation and rejuvenation. In this 6-7 person spa, give in to the luxury of Jacuzzi® hydrotherapy, cocooned in a world of cascading waterfalls and warm jet streams. The 39 PowerPro® jets produce virtually any massage type, from deeply invigorating to tension-relieving. 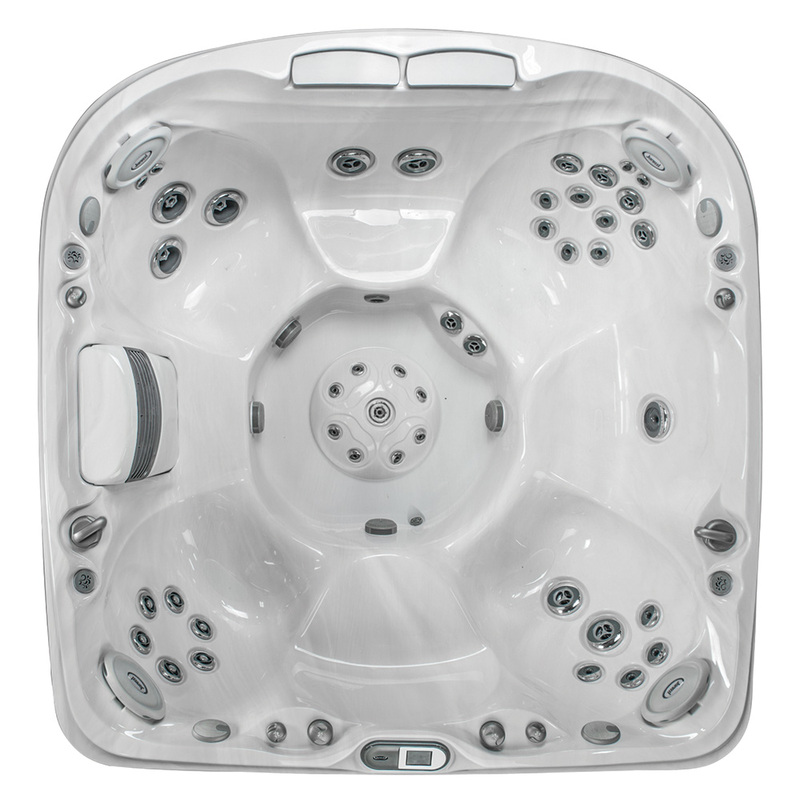 There are five therapy seats in the J-470TM hot tub, each one designed to provide a targeted hydromassage for specific muscle groups. 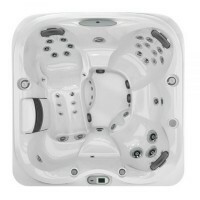 Designed using a state-of-the-art process, the J-435TM Hot Tub delivers a modern interior perfect for a wide range of body types and heights.5 seating options including a jetted cool down seat unique to the J-435TM TM feature integrated PowerPro® jets with a tailored treatment for each seat that delivers a luxurious full body hydromassage. The waterfall seat combines a single jet and a cascade of water to deliver a soft tissue experience. A wide sheet of water from the waterfall soothes the shoulders whilst the jet invigorates the upper back to relieve stress and strain. In addition, the forward-facing lounge seat allows you to fully immerse your body into the water and feel the effects of the jets on your legs and feet whilst further PowerPro® jets provide a treatment to your shoulders and back. 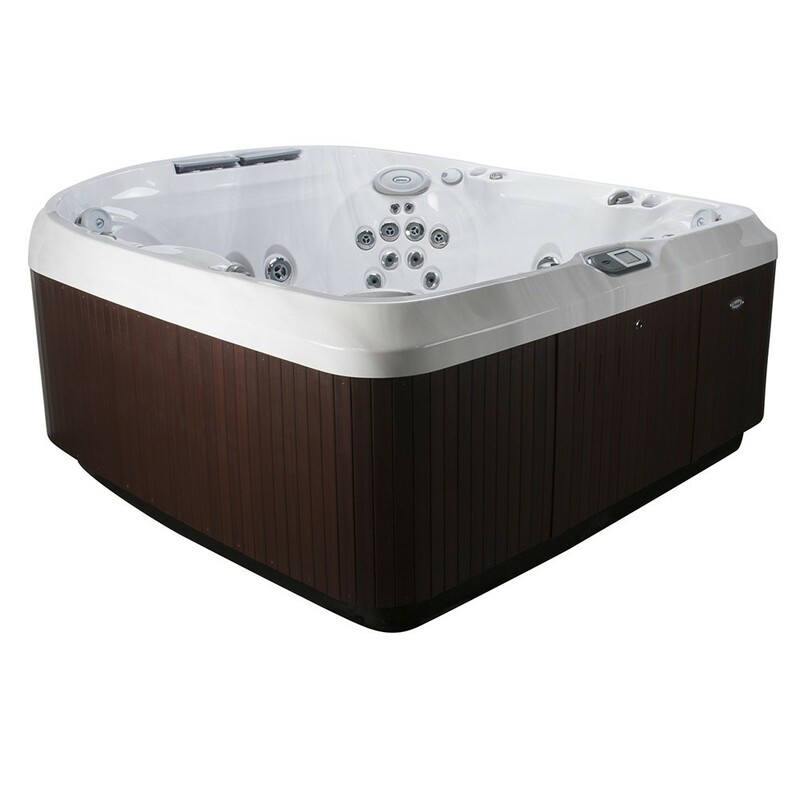 Thanks to the high back and innovative design of the J-435TTM, even when the surrounding temperature is much cooler, you are enveloped in warmth for a much more luxurious Hot Tub experience. Other modern innovations include the dual purpose illuminated diverter knobs which are designed to also act as cup holders for added convenience, and adjustable pillows that provide the perfect place to rest your head and adds enhanced relaxation for people of varying heights. DESIGNER COMPACT WITH OPEN SEATING..